What better way to spend the Spring Equinox? 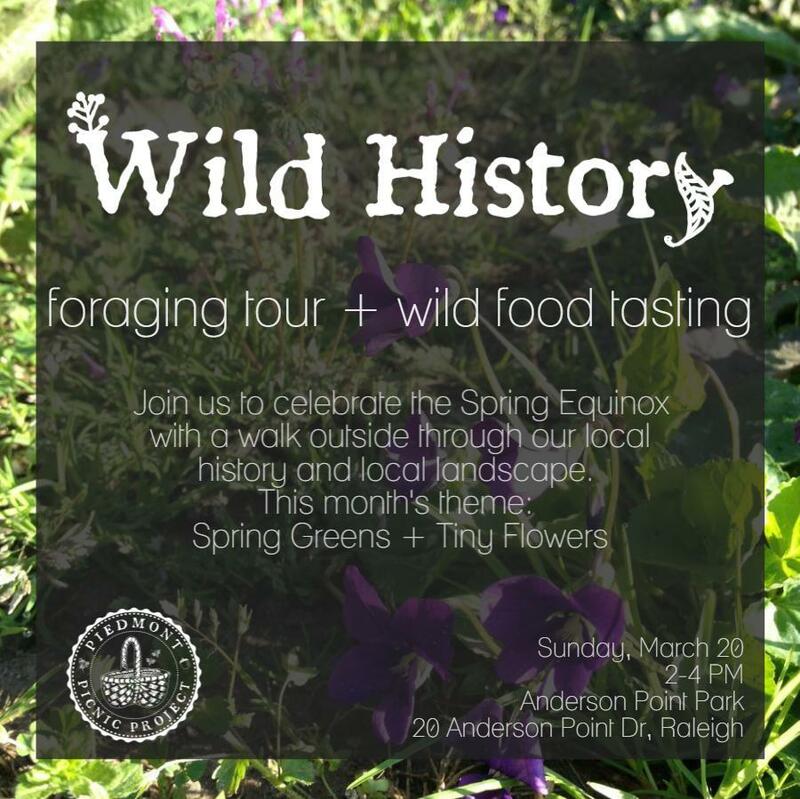 Piedmont Picnic Project will host a Wild History Foraging Walk + Wild Food Tasting to celebrate the Spring Equinox. We’ll forage edible wild plants together, learn more about the local history, and then taste dishes made from the same plants! Reserve your spot here! +Park in the parking lot to the left off the roundabout at the entrance to Anderson Point Park. +Walks are rain or shine, but in the event of storms, our make-up date for this walk is Saturday, March 26, 2-4 PM. Please check your email the morning of the walk for notice if there is a chance of storms.